For years, there has been an ongoing debate in the accounting community regarding to what degree the complex requirements of generally accepted accounting principles (or GAAP) apply to small and non-public companies. U.S. GAAP was created primarily for publically held companies that have to meet strict regulatory reporting requirements. FASB soon issued for public comment several PCC proposals that address the relevance and complexity of certain aspects of GAAP for private companies. This past October, the PCC finalized a proposal that would make changes to GAAP to help simplify the accounting treatment for intangible assets acquired in business combinations, goodwill, variable interest-rate entities, and certain types of interest rate swaps. Specifically, the proposal would allow private companies to amortize goodwill on a straight-line basis over 10 years at the longest. It would also limit the requirement for goodwill impairment testing to times when a triggering event indicates that the fair value of the entity is below its carrying amount. FASB is currently considering the PCC proposal, and if the proposal is endorsed by FASB, it will be issued as final Accounting Standards Updates to take effect for the period beginning after December 15, 2014. Few in the industry question the fact that many of the requirements of GAAP are, indeed, overly complex and cumbersome for private companies. However, some are concerned about the confusion and possible deterioration in the quality of financial statements that could result if there were two separate forms of GAAP — i.e., Big GAAP and Little GAAP. 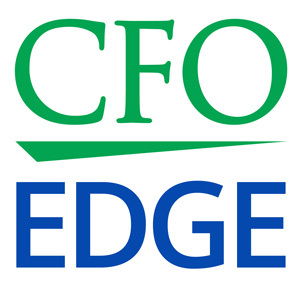 While the PCC was finalizing its proposal to simplify GAAP, the American Institute of Certified Public Accountants (AICPA) was working on creating a new financial reporting framework (FRF) that gives small and medium-sized entities (or SMEs) the option of adopting a more simplified and less costly method of presenting financial statements to their stakeholders. SMEs are not required to report financial information in accordance with U.S. GAAP. The most significant aspect of FRF for SMEs is the fact that it replaces U.S. GAAP’s primarily rules-based framework with a more principals-based framework. U.S. GAAP is comprised of about 25,000 pages, while FRF for SMEs includes about 200 pages. It uses a blend of traditional income tax methods and accounting principles to present a company’s financial position, cash flows and results of operations in a more simplified manner. Both preparers and users of financial statements are likely to find the new framework more useful in making sound business decisions. § Removes recognition requirements for derivatives, hedging activities and stock-based compensation. § Removes reporting and disclosure requirements for variable interest entities. § Gives SMEs the option of presenting parent company-only financial statements. § Gives SMEs the option of presenting income taxes using either the deferred income tax method or the income taxes payable method of recognition. § Removes the U.S. GAAP requirement that SMEs evaluate and possibly record uncertain tax positions. § Allows goodwill to be amortized over a 15-year period. Note that FRF for SMEs is non-authoritative, so its implementation is optional for SMEs. The Private Company Council has finalized a proposal that would make changes to U.S. GAAP and could be the first step toward the creation of “Little GAAP,” although not everyone in the accounting community believes that creating Little GAAP is a good idea. In addition, the AICPA has created a new financial reporting framework (FRF) that gives small and medium-sized entities (or SMEs) the option of adopting a more simplified and less costly method of presenting financial statements to their stakeholders. Both of these efforts aim to simplify accounting for small, non-public companies. An outsourced CFO services provider can help you determine how these developments might impact your company’s accounting functions.